Grid-scale energy storage company Pivot Power has revealed ambitious plans to build 2GW of lithium ion capacity in the UK to meet grid and electric vehicle demands, the company announced on July 17. 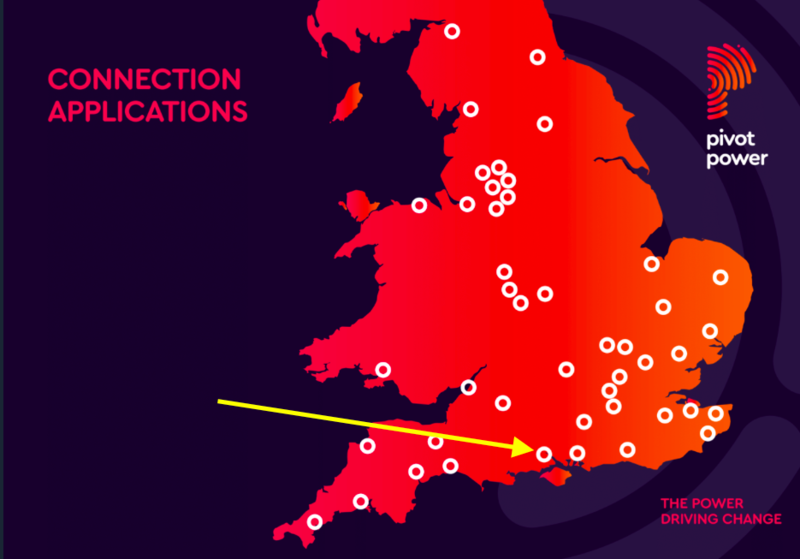 The plans will begin with a 50MW system in Southampton that will initially provide grid-scale flexibility services with the aim of gaining permission to add an EV ‘superhub’ rapid-charging facility that will share the same grid connection as the battery. Construction of the system, which will be housed in 25 containers on a 1.6-acre plot owned by UK transmission operator National Grid, should start around March 2019 and be operational by July. A Pivot Power told ESJ that the lithium ion batteries would be sourced from multiple suppliers because of the volume required. Southampton is the first of 45 sites near towns and major road networks the UK-based firm has earmarked for projects combining 50MW ESSs with rapid charging stations. Cornwall, Birmingham and Oxford will be among the first projects. The superhub will be a mass-charging infrastructure for commercial fleets such as electric buses, taxis and vans with the ability to charge up to 100 vehicles at the same time. The projects aim to address concerns about the availability of chargers, distance travelled on a charge, and cost — the three biggest barriers to EV adoption identified by the UK’s Department for Transport’s survey Public attitudes towards electric vehicles: 2016 (revised). Pivot Power aims to have the systems operational at 10 sites within 18 months and all 45 within five years. If successful Pivot Power would be one of the biggest single suppliers of the UK’s battery capacity by 2021 — at least according to a UK government paper released in January whose medium forecast was for 8GW of capacity, up from around 300MW nowadays. The government paper was written by the UK Renewable Energy Association, an All-Party Parliamentary Group on Energy Storage, and an interest group made up of members of the House of Lords and House of Commons.